Sir Mo Farah declared the fear factor which accompanied his move into full-time road running two years ago dead and buried as he claimed his fifth straight Great North Run title in South Shields. 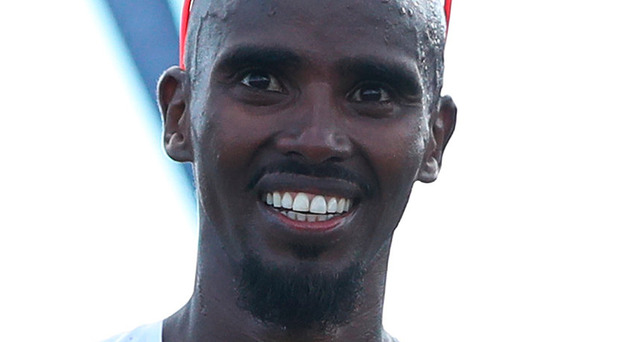 Farah led from the front to cross the line in an impressive 59 minutes and 26 seconds, just four seconds short of the personal best he had set in winning his second title in 2015. His win set him up perfectly for his assault on his first major marathon title in Chicago early next month which would further vindicate his decision to end his glittering track career in the wake of his Rio success in 2016. Farah said: "When you're new to this, you do fear it. You don't know what to do. You almost cower in the corner. But I don't have that fear now. I have more confidence now, having run a couple of marathons." Farah shrugged off New Zealand's Jake Robertson in the final section of the race to win by 30 seconds, with Belgium's Bashir Abdi coming in third. Favourite Vivian Cheruiyot saw off fellow Kenyan Brigid Kosgei to win her second women's title in one hour, seven minutes and 43 seconds, with Northern Ireland's Emma Mitchell the best-placed British finisher in eighth place. It was a dominant performance as expected from Farah in front of an enthusiastic home crowd, and one which placed him in the history books as the first man to win the event five times. Farah added: "I'm happy with where I am. I just can't wait until Chicago. The aim is to stay injury-free and stay focused and keep doing what I'm doing, and it's definitely working. "The conditions made it tough. If they had been perfect as in previous years. I would definitely have run a lot faster. The last two miles, particularly the last one, were tough. I was tiring towards the end. "There is definitely a bit more work to do towards Chicago. The aim was to use this as a test - play with the pace, go to the front and wait. So we're already thinking about what lies ahead and how to do it." QUB's Emma Mitchell had an outstanding run in the event where she finished eighth in a quality field in a time of 74 mins 38 secs. Emma was always to the fore in the group behind the leading Kenyans. She eventually broke away from top GB internationals Lily Partridge (10th), Alyson Dixon (11th) and Charlotte Purdue (14th). This performance is a huge step forward for the Banbridge woman, who now has an eye on the marathon in the Tokyo Olympics. The race was won by Olympic Champion Vivian Cheruiyot in a PB of 67 mins 43 secs. A UFC featherweight has claimed his blood was taken by someone he thought was a US Anti-Doping Agency employee - only to later discover they did not work for the organisation. By Richard Bullick Northern Ireland captain Caroline O'Hanlon has bagged the Vitality SuperLeague Player of the Month award for March. As many as 38 local sports clubs are set to benefit from £4k each in funding as part of a new programme.